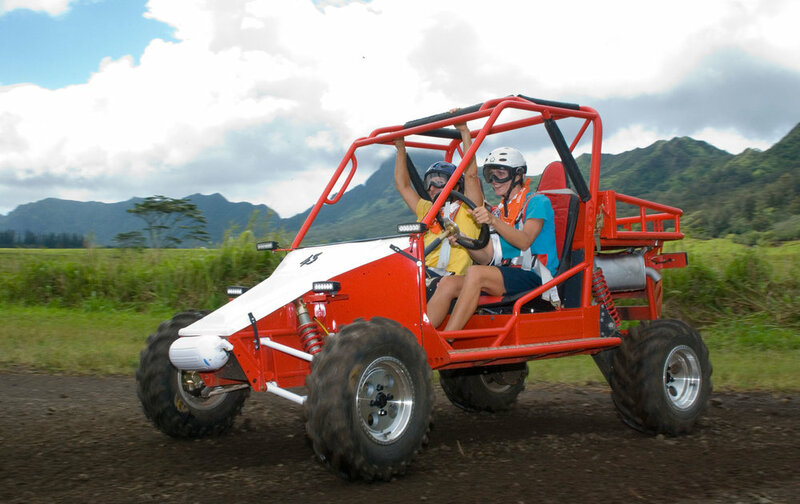 Kauai Backcountry Adventures has exclusive access to the historic irrigation system of the former Lihue Plantation. This ditch and tunnel system that once irrigated vast sugar crops had been unused since sugar was taken out of production in 2000. In January 2003, Kauai Backcountry opened a section for exclusive tubing tours. This water system runs through some of the most beautiful and remote land on the island. It includes spectacular views of the mountains and Waialeale Crater. The waters which originate near the top of Mount Waialeale, one of the wettest spots in the world, are channeled through ditches and tunnels hand-dug by plantation workers over a century ago! The Mountain Tubing Adventure is perfect for all those age 5 and over, and in generally good physical condition. The gently flowing waters, beautiful scenery, flumes and tunnels are combined for a relaxing, fun and fascinating experience. And when we say we are unique, we mean it! This is the only tubing activity of this type on Kauai. And we are the only eco-tour company with access to these 17,000 acres of former plantation lands. Koloa Zipline is the premier zipline on Kauai. The course consists of 8 lines and lasts approximately 3.5 hours long. Koloa Zipline is Kauai’s longest zipline course featuring 3 of the longest lines on island including the Waita zipline (1/2 mile). Each line was built with your education and thrill in mind, offering Tandem ziplining, your choice of harness, handlebar pulleys, and Aerobatics. Explore the incredible beauty of Kauai’s south shore as you glide across the water on 22,000 acres of Hawaii’s first sugar plantation. Koloa Zipline is the only zipline in the State where you can zip head first like superman. Kauai ATV Waterfall Tour. This guided 3- 4 hour waterfall adventure takes you through 23 miles of diverse off-road trails. We tickle your senses with the sights and sounds of flora and fauna; from arid farmland to lush tropical forest with cascading waterfalls. Brief stops along the way will highlight famous movie sites, panoramic views and snapshots of our islands rich history. Enjoy a deli lunch with local snack and beverage that you can enjoy while frolicking in a freshwater mountain pool located at the base of Mount Kahili. 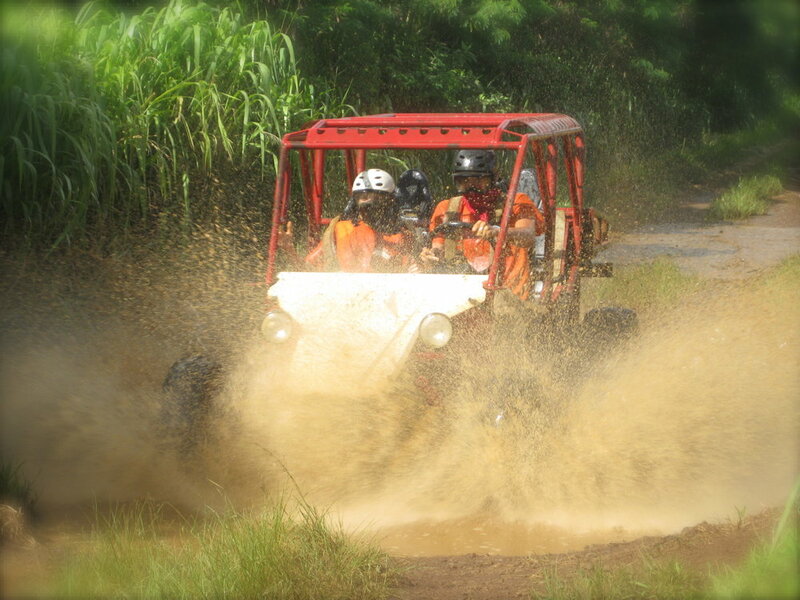 Read the VETS Travel Blog about the ATV Tour! Na Pali Raft Day Expedition: An incredible 51⁄2 to 6 hour expedition to Kauai's Na Pali Coast. We'll leave the modern world behind-darting in and out of sea caves, plunging under cascading waterfalls, and encountering the dramatic peaks and majestic valleys of the Na Pali Coast. When conditions allow, we'll land on a remote beach – Nualolo Kai – for hiking, snorkeling, and a delicious lunch. Take a guided historical hike to the ruins of an 800 year old Hawaiian fishing village. Explore the same thriving reef ecosystem that supported ancient Hawaiians. A romantic experience along Na Pali Coast on a custom 65' Star Class luxury catamaran. See rich hues of green, red and black as the setting sun highlights the many sharp ridge lines and valleys that make this coastline unique. After heading North up Na Pali we’ll enjoy a relaxing downwind cruise and sunset at sea. Also, the Na Pali Coast is always conditions permitting. If we cannot get to Na Pali due to ocean and / or weather conditions, we will provide the charters on the south shore of Kauai. There is no option for a refund or reschedule if we cannot get to Na Pali but are able to offer the tour on the south shore.